Figure out what defines your brand identity… then build a podcast around that. For example, Blue Apron’s Why We Eat What We Eat tries to understand the decisions people make about food. It’s a fitting topic for a meal kit company — and it establishes the company as an expert in the area. Similarly, as an advertising agency, our podcast J&SEE: Views on Marketing explores how everyone is a marketer in some way. Whether your brand’s voice is polished and professional or light-hearted and fun, you can use a podcast to solidify your identity and share it with the world. Establish yourself as a thought leader in your industry by sharing your knowledge with your listeners. Podcasts can be extremely niche, so be as specific as possible with your expertise. No matter what it is, there’s an interested audience out there. Maybe that audience is existing customers of your brand, professionals in your industry or something else completely — say, cat owners or Chicago-based foodies. You’ll stand out from competitors who haven’t done it yet. And the longer you podcast, the more trust you build with your listeners. Grow your network by inviting guests onto your podcast. It’s a win-win for both you and your connections. That’s because it gives your guest a platform to promote their own brand. Plus, they can share your podcast on their own channels and introduce it to a whole new audience. Reach out to someone you admire in your industry and pick their brain. It’s a great way to expand your own knowledge and collaborate with other thought leaders. The more connections you make, the wider your reach becomes. Podcast episodes are perfect to repurpose for additional content. For example, you can transcribe the most thought-provoking responses from an interview and create a Q&A blog post. But repurposing content doesn’t stop there. To take it even further, you can turn short, dynamic quotes into images. Share those images on your social media channels — whether it’s Twitter, Instagram or LinkedIn — and your content has even more reach. It’s promotion for your blog, your podcast and ultimately, your business. So tap into this rapidly growing medium to promote your business and establish your brand. And the best part is… it’s fun. You get to share your ideas, explore other opinions and meet new people. 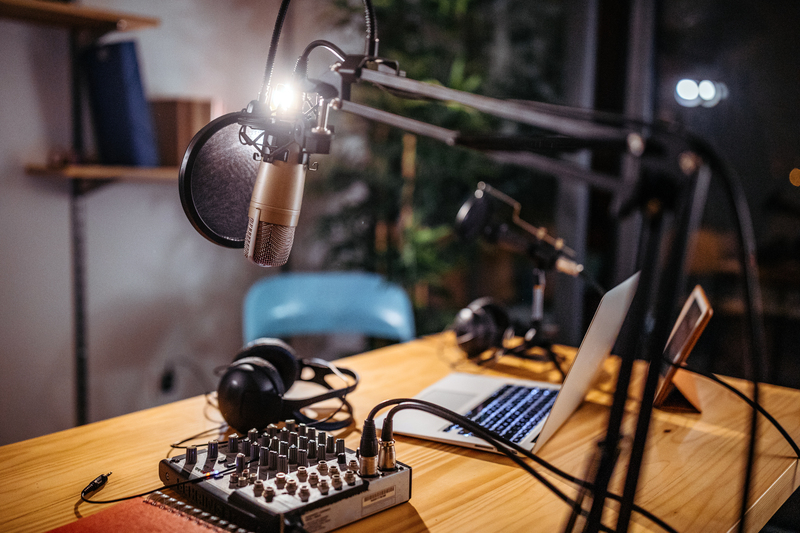 For more resources on everything you need to know about creating a podcast, check out this guide for a comprehensive overview. And if you want inspiration before you start, try listening to one of our top five marketing podcasts.